Previously I related how I came into typewriters, as a young wet-behind-the-ears school leaver being offered a job with a local office equipment supplier. The small typewriter repair organisation I worked with had the whole gamut of customers, ranging from some very big service contracts with companies that had hundreds of typewriters down to solicitors and estate agents that only had one or two machines. We also did visits to private homes to repair typewriters, but this was rarer, as the home user didn’t want to pay a reasonable rate to make it worthwhile for us. The bigger service contracts were much more lucrative. We also had some very dodgy customers and one in particular comes to mind. Picture a young, naive young lad, just new to the job of typewriter technician, very enthusiastic and always looking for ways to please the boss. One evening I was watching a television current affairs program (remember those programs after the nightly news, that made an art form of having reporters chasing crooks down the street, trying to question them about some dodgy scam or some such?). I happened to notice one of these reporters entering an office that looked vaguely familiar, and as he started his interview, I recognised the person who was trying to shield his face from the camera as he was making a bolt to get away from the reporter … it was one of our customers! 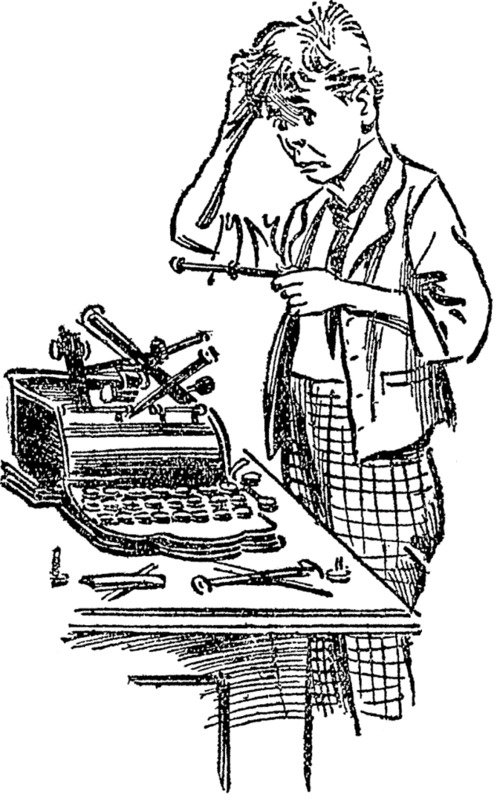 I remember this particular customer, as he was late in paying us for a new typewriter that we had delivered to him. 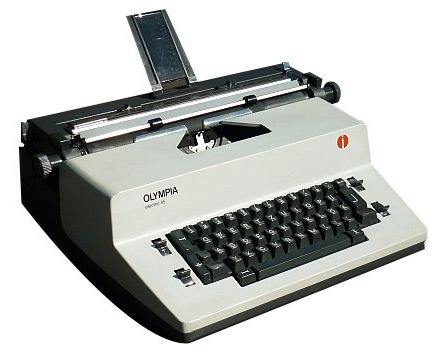 I had been sent on missions to his office several times to deliver overdue accounts for the machine (an Olympia SGE45, as I recall - this was a very popular electric that we sold successfully into schools and offices. It was robust yet compact, which means it didn’t take much desk space. But I digress). Well, appearing on a current affairs show is usually the death-knell for a company - it either goes bankrupt or goes underground, to surface again with another scam operation. Seeing this chap on TV made me feel I had to act quickly, and what better way to impress the boss than to get payment for said typewriter before this shonky company sold off its (unpaid for) machine in a fire sale due to bankruptcy? The plan was hatched. I would arrive at this office first thing in the morning and demand that the dodgy typewriter 'owner' pay his bill before his company went under. The next morning, I arrived at the office, trembling with both fear and excitement. I knocked on the door, entered the reception area, and waited. I could hear voices in the back tearoom, laughing no doubt about having snubbed noses at the reporter in the previous night’s TV program. I waited for a minute or so, and made a few discrete coughs to try and draw attention to this most unlikely debt collection officer loitering in the office. But whoever was in the tearoom was so engrossed in conversation that they didn’t hear me through the partitions. On the spur of the moment, having spied the typewriter on the secretary’s desk, I sauntered over to it and pulled out the cord from the machine. (Typewriters in those days were transitioning to having an international DIN-type cord that plugged into the back of the machine, rather than the cord being hard-wired, which was lucky as it meant I didn’t have to rummage under the desk to unplug it; it was simply a matter of leaving the cord behind). 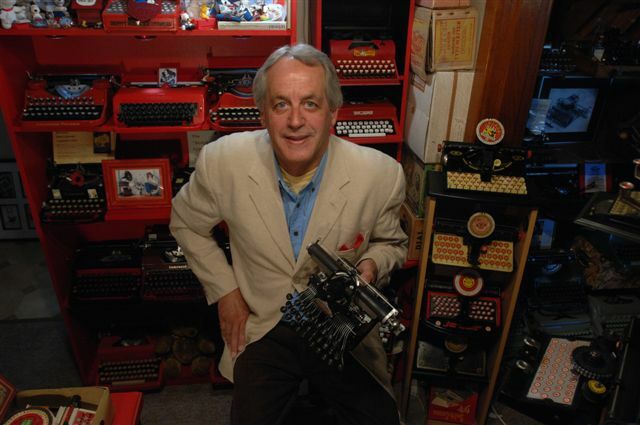 Well, with the typewriter under my arm, I hot-footed it outa there! Like a scene from a cop movie, I decided to take the fire exit rather than the lift. I must have thought I was heisting a million dollars rather than an $800 typewriter. My heart was racing as I made my way to my employer’s typewriter shop to proudly inform him of my deed, demonstrating the utmost loyalty to his company. Well, instead of the huge pat on the back and praise and accolades all round from work colleagues, I was really in trouble. My boss turned red with rage, then white with the fear of the repercussions for me breaking the law in such a manner. We buried the typewriter in amongst old stock, and the boss spent the rest of the day in hushed conversations with the secretary, fiddling with internal records and destroying invoices from Olympia to try and hide the fact that the typewriter ever even existed, let alone had been sold by us. The police never arrived, the ex-typewriter “owner” never rang us (I suspect he would have known who took it, yet also knew it wasn’t paid for, and he had no intention to pay for it). That day was a huge learning experience for me as a young typewriter technician, embarking on a career path that taught me a lot more than just how to fix typewriters. 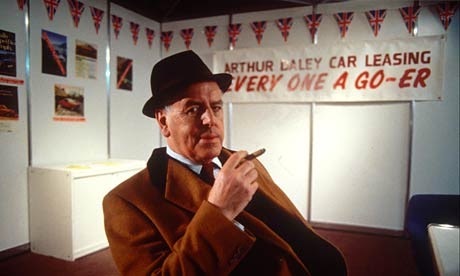 Those early days for me, on looking back, were a bit like working for Arthur Daley of Minder fame. In a future submission, I’ll relate how we almost came close to being on the wrong side of the law in an equally hilarious experience.